“I Stand at Your Gate”: Thanks to Christine Hartmann and Bill Carmel for the new Art Exhibit at Peace. Its inspiration was to give trafficked children courage and hope. Give yourself the time to savor and absorb this Exhibit. Feel free to invite friends to come and experience it with you. Copies of Christine’s book will be made available in the future. 10 members of Peace participated in the Mock Job Fair at FCI Dublin this week. Keep the inmates and the guards and all their families, and Chaplain Ashforth in your prayers in addition to the ongoing development of our Prison Ministry. To the Members of Peace from the CC Food Bank: Friends, thank you for your donation of 145 pounds of food on July 10. Your donations equate to 116 meals which will brighten many faces. We serve 149,000 people each month and distribute over 50,000 pounds of food every working day. The children, seniors, and low-income hungry Thank You! Together we can end hunger. Congratulations to Elise and Kaleo on the publication of their new book “The Creative Art of Living, Dying and Renewal” – Your Journey through Stories, Qiqong Meditation, Journaling and Art. Copies will be made available to the friends of Peace in the near future. Our First Friday Films will take the month of August off. No film this Friday evening. For the people of the Ukraine, Syria, Israel and Gaza and for the impoverished of our world: “Those who make peaceful revolution impossible make violent revolution inevitable.” Pres. John Kennedy. Keep in your prayers: Annegret, Mark, Ali, Ari, Yael, Elias and Kelly on their wedding, friends of Peace traveling in Estonia, Berlin, Brazil , the Czech Republic, Hawaii and other part of the globe, all the suffering children and those who believe violence can cure social ills. I trust you had a good experience at Loaves and Fishes. If any of you are here this Sunday and think your kids (or you) would like to share impressions/highlights from the day, please let me know. It would be fun for the Peace folks to hear what was experienced and learned. 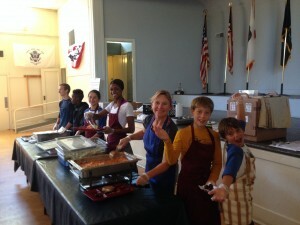 Our Youth will join Charlene at Danville Rehabilitation this Sunday and serve lunch at Loaves and Fishes next week. Please keep them and their life in the Spirit in your prayers. The Justice Advocacy Committee will meet at Linda and Ron Elsdon’s home this Saturday, July 19 from Noon – 2:15 pm. All are welcome. Please send your RSVP to: renewal@elsdon.com. There was strong interest expressed this past Sunday from members of Peace in learning about Interview Coaching at FCI Dublin. We will receive details about this ministry in the future. Keep in your prayers: Mark, Ed, Sunghee, gratitude for Gen and Lanie who are getting stronger; those traveling, those who encourage us, the people of the Middle East; the farmers and artists and sages who feed us. The Night Ministry will celebrate its 50th Anniversary on Sunday, November 16 at 3:00 pm at Grace Cathedral in San Francisco. Anne Lamott will be the guest speaker. ‘Wing It’ will perform and the Volti Choir will sing. I am part of the Planning Committee which is designing this festive service. All the members and friends of Peace are invited to attend. Night people and street people will be in attendance too. A fundraising dinner at Delancey Street will follow that evening. Gandhi was studying law at the University College of London where a Prof. Peters who did not disguise his animosity toward Gandhi, frequently “argued” with him. One day, Prof. Peters was having lunch in the dining room of the university. Gandhi came along with his tray and sat down next to him. The professor said, “Mr. Gandhi, you do not understand….a pig and a bird to not sit together to eat.” To which Gandhi replied, “You do not need to worry then professor, I will fly away,” and he moved on to another table. Interview Coaching at FCI Dublin on July 30: If anyone would like to meet briefly after the service at Peace on Sunday, July 13 to discuss approaches to interview coaching just let Ron Elsdon know. Night Ministry Walk Around: Members of our Youth Group strolled the streets of the Tenderloin in San Francisco on Wednesday night with the Night Minister Rev. Lyle Beckman. (Pr. Lyle has preached at Peace over the years.) Perhaps you will learn soon about their experiences on the streets. Need Inspiration? Check out our Peace website. Amazing contributions from thinkers, artists and poets at Peace as well as the courage and joy received from viewing the many ways in which we manifest our highest aspirations! Keep in your prayers: Mark, Annegret, Gen, the wife of Fr. Chris, the children fleeing to our country to find safety and their parents; our youth and their parents; those who are traveling; and gratitude for those who have found work. Just a reminder if you are available to save Friday at 6:30 pm for a fascinating film, The Triplets of Belleville. Written and directed by Sylvain Chomet, his mesmerizing hand-drawn animation (not CGI) tells a quirky tale of how an old woman with a club foot and a very fat dog become superheroes. When Madame Souza’s grandson is kidnapped while competing in the Tour de France bicycle race, she is assisted by an eccentric singing trio to save him. If you enjoy fine hand-drawn animation, quirky surrealism and snappy cabaret music, this is the film for you! Run time 80 minutes; PG 13 rating; free. Join us for popcorn during, discussion after. It received two Academy Award nominations in 2004. Surreal Comedy would be the best way to describe it – you will not be bored! Where does the rainbow end, in your soul or on the horizon? Paradoxes: A drink that bubbles in empty glasses. An amplifier that magnifies silence. A path that grows over after every step. A book that can only be read in the dark. Deep in the forest there’s an unexpected clearing which can be reached only by someone who has lost their way. What a fitting celebration we shared with Brock for the conclusion of his Internship Year among us and the inmates of the FCI in Dublin. No one will forget Pr. Margareta’s “Encouragement from a Wise Chaplain”, children’s time, ‘Eternity’s Hammering Blows’, the poetry of Tomas Transtromer, the clip-clopping of horse’s hoofs, the neighing of clergy and “Happy Trails to You”. Thanks to Brock for a good year, to his Committee and the Members of Peace for gifting Brock with a solid year of pastoral formation. Intellectual debate, once a characteristic of our country’s political discourse, has withered. We have been seduced by the demand for popular appeal, believing we must fit ideas into the sloganeering machine of mass communications – communicating only in the childlike vocabulary and simplistic sound bites of the commercial media. We have forgotten as Dwight Macdonald wrote, that “as in arts and letters, communicability to a large audience is in inverse ratio to the excellence of a thoughtful approach.” This is not a good thing: as in art, spirituality and theology, mass appeal is a deforming and crippling factor. Nor is popular appeal an eternal rule: in the past, the ideas of a tiny minority – sometimes reduced to the vanishing point of one individual, have gradually come to transform the ideas, views and priorities of their fellow human beings. Banishing complexity – pushing difficult or unfamiliar ideas to the margins – in order to promote the cultural embrace of simplification, reduces public discourse to speaking in predigested clichés, opinions and slogans. Neither intellect nor spirit is utilized. This assault on original thought paves the way for disaster. Keep in your prayers: Lisa, Gen, Nina, Jasmine, David, Ari, those seeking employment, the members of our youth group, and those who pray for us. Members of Peace are travelling around the planet this summer – Europe, Asia, South America, the islands, the mountains and the northern heights of Fresno. Keep them in your prayers. Go seek your own poets, artists, dancers and storytellers to nourish your soul this summer so that you may become enchanted with life once again!